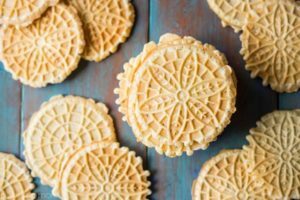 Pizzelle are traditional Italian waffle cookies made with flour, eggs, sugar, butter or vegetable oil, and flavoring, usually anise, vanilla or lemon zest. Pizzelle can be hard and crisp or soft and chewy depending on the ingredients and method of preparation. 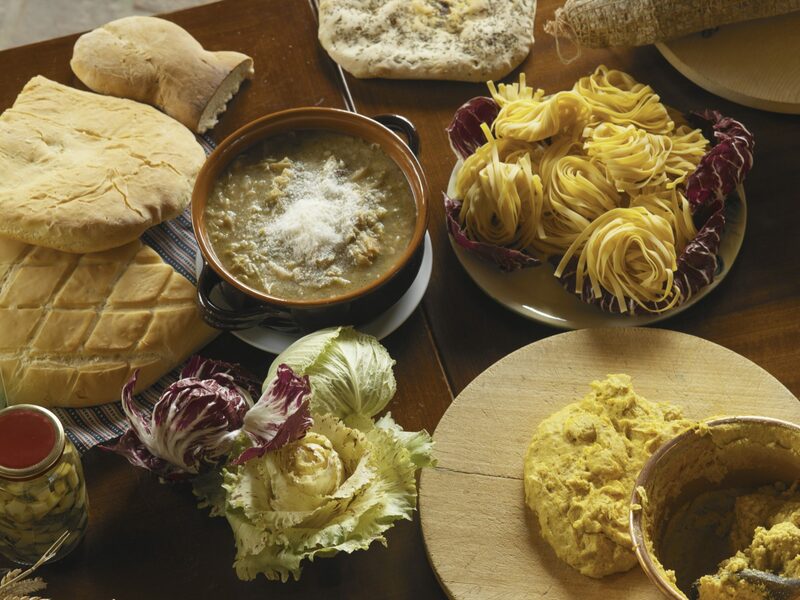 Pizzelle were originally made in Ortona, in Abruzzo and the name comes from the Italian word for “round” or “flat”. It is thought to be one of the oldest cookies of Italy, dating back to Roman times.Pizzelle are popular during both Christmas and Easter and are characterized by a snowflake pattern baked onto both sides of the cookie.